Please join us for this distinctive annual fundraising event where you choose and purchase new books to add to the Library's collection. A bookplate will be placed in each item purchased. Now here's the really fun part. You can personalize it with your handwritten inscription! What a unique (and lasting) gift to the library and to those who will use the material you have donated.The friends and family on your holiday gift list will love seeing their names inscribed in a book at the public library! 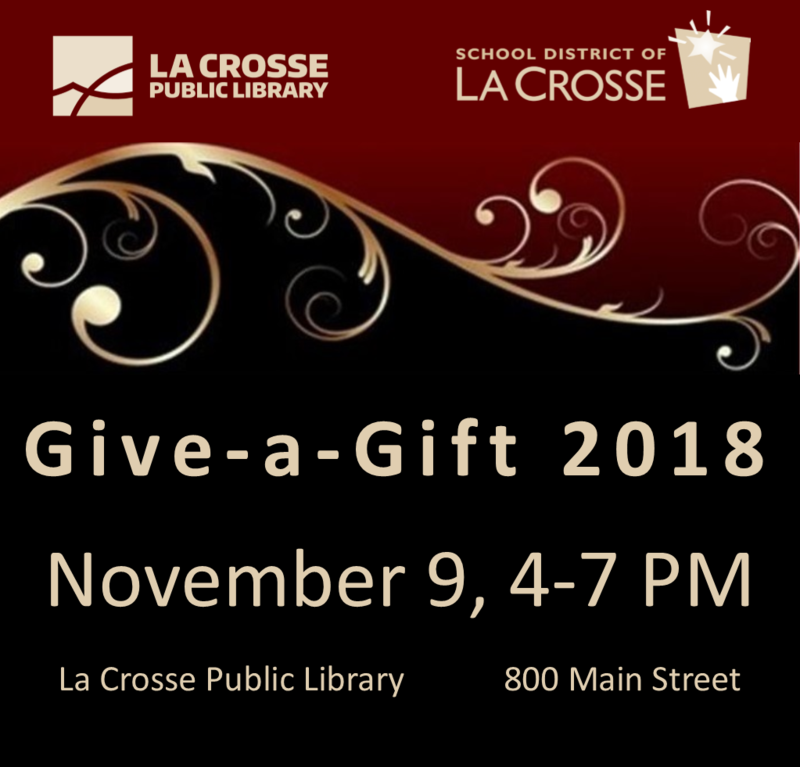 Please welcome our 2018 Give-a-Gift partner, The School District of La Crosse. Books purchased at their special table at the event will be placed in 5th grade classrooms throughout the district. As a special incentive for supporting this partnership, you will receive an exclusive library gift bag when you donate $100 or more to help purchase books for the school district.